Torrential rainfall on Wednesday night and Thursday has resulted in the most extensive flooding in Alberta Province, Canada in at least 8 years. Some 100,000 people are facing evacuations in the city of Calgary. Here is a brief summary of the event. There have so far been confirmed reports of two fatalities. Mandatory evacuations of downtown Calgary (Canada’s 5th largest city) are currently taking place and most of the city has lost its electricity following massive flooding along the Bow and Elbow Rivers which course through the city and its environs. The city’s Centre Street Bridge and most of Calgary’s other landmarks, including the zoo on St. George’s Island, are under water this Friday. Downtown Calgary under floodwaters this Friday morning (June 21st). Photo by Esther Madziya. This YouTube video by James Black shows water flooding the highway along Crowsnest Pass west of Calgary. Heavy rainfall began falling across the Bow River Basin on Wednesday night with up to 190 mm (7.51”) falling in some areas over just a 24-hour period. However, it was the widespread nature of the heavy rainfall, with an average of 50 mm (2”) blanketing the entire river basin that has led to the massive flooding. These two maps show the boundaries of the Bow River Basin where the worst of the flooding is taking place. The Elbow River flows to the south of the Bow River and the two rivers converge in Calgary. Although not named on either of these maps, the course of the Elbow River can be found by the location marked Bragg Creek on the top map. Maps from The Weather Network. River flow rates on the Elbow River at Bragg Creek have reached 500 cubic meter/second which is 20 times the average flow rate. The record flow rate here was 836 m3/s in 1932. A still from a dramatic video of the raging waters of the Elbow River near Elbow Falls.Videographer not yet identified. Radar estimated precipitation totals for the 24-hour period ending 8 a.m. on Thursday June 20th when the bulk of the rainfall occurred. Isolated amounts of over 200 mm (about 8”) are evident in the mountains southwest of Calgary Environment Canada. Actual measured rainfall totals for the area over 60 hours ending 9 a.m. Friday, June 21st. The vast majority of these totals occurred in just a 12-hour period Wednesday night and Thursday morning. Data from Environment Canada. The all-time calendar day rainfall record for Calgary Airport is 95.3mm (3.75") on July 15, 1927 and the June daily record 2.56" on June 18, 1918. For the latest updates on the situation in Alberta see the Canadian weather website The Weather Network. Video 1. Flood waters on Bragg Creek in Alberta, Canada send a house hurtling into a bridge on June 20, 2013. Warning" one s-word expletive. KUDOS: To Rob Davis, meteorologist at The Weather Network in Canada for much of the above information and graphics. Thanks very much for the metereological background and the maps. It's looking really devastating. An event nobody seems to have in his forecast schedule. Or am I wrong? That graph of Elbow River flow rate is dramatic expecially considering that its a near vertical line on a logarithmic scale. For those who do not understand how big an area you are talking about, would it be an idea to give an over lay of a similar area in the USA as Canadian map sizes do tend to make things a little deceptive. Also there are reports of flooding all over the area between the North Saskatchewan and South Saskatchewan Rivers. Line drawn between Edmonton and Lethbridge is more or less the crest at this point, but all communities east are still to face it. I doubt there was little warning possible for this as this is the eastern face (normally weather goes west to east here) of the Rockies. There is a sharp drop from the peaks of the Rockies onto the plains and once there. FLAT. "3 bodies found in Alberta floodwaters"
Ouch. I was afraid this would be inevitable given the scope of this flood disaster. Was the severity of the precipitation event increased by a blocking pattern in the jet stream? Thanks. CBC Meteorologist Clare Martin regarding the set up for the Alberta (and B.C.) flooding. Good reporting. I was backpacking near Cosley Lake, just south of the Canadian border and due south of Calgary. We had massive rains Wednesday night but didn't measure the amount (darn!). The storm seemed to just keep circling back around, with heavy rainfall and lightening for about 12 hours (roughly 4 PM - 4 AM). Water levels in the rivers on Thursday were much higher than the day before. Trails turned into rivers. If there are any measurements of water flow or rainfall in the area, I would be curious. There is a Ranger Station nearby. Sympathies to those enduring the flood woes produced by slow moving upper trough. Combined with topography, prodigious rain amounts piled up along eastern flank Banff range. We humans have a propensity for building in flood plains / confluence of rivers (amidst other threats)... The scene from Calgary Alberta reminds me of recent views from Passau Germany. But with near 7.2 billion of us today, expanding our physical presence across the face of earth, well... having multitudes suffer the wrath of nature is inevitable, regardless what form it takes. Here's the Wiki article describing population growth / demographics Alberta. These are summer floods caused by heavy storm. No significant flood since 1932. The map of flood plain for 70-yr flood is shown in next page. Much of Downtown, Sunnyside, Bowness, and other residential areas are under water. This size of flood has not occurred since 1932, but it could occur anytime. The City proposed management plans, but met with great disfavor by community group, who were worried that property values would decline if hazard zones were officially declared. 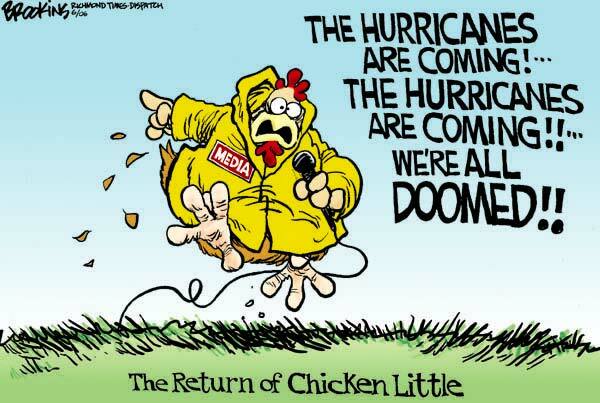 So Chicken Little was right all along and the sky really is falling, eh? Green areas represent one declaration. Yellow areas represent two declarations. Orange areas show three declarations. Red areas represent four or more. Very interesting, but the link you provided does not work. Could you double-check please? The weather sometime can be too severe and be destructive. They can harm up to great great extent, Tsunami is one of the example which will never be forget ted easily.